Is flying a military jet on your bucket list? 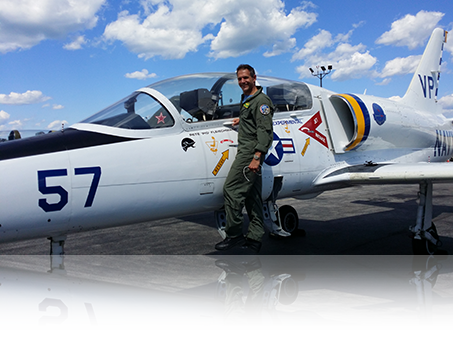 Take a flight in the L-39 with us! Based on the same proven system used to train USAF and NATO pilots. Loss of control in flight is the leading cause of fatal aircraft accidents worldwide. Statistics show that when faced with an upset aircraft, pilots who have been trained in proper upset recovery techniques are five times more likely to survive than those pilots who have not been trained in upset recoveries. At Acrojet, we believe that pilots deserve the best training possible, and passengers deserve highest level of safety available. Our realistic upset prevention and recovery training is flown in an aircraft that shares the flight characteristics of a business jet, and is taught by experienced professionals using proven techniques. Acrojet provides flight training for pilots in Connecticut, New York, the Northeast and beyond. Contact us today to plan your training and join us in improving aviation safety, one pilot at a time. Training and support products to meet your needs. Realistic training, not simulation. Real world upset recovery training is critical to survival. In the Acrojet L-39 you’ll experience what no simulator can simulate. Eclipse Aviation made the unique decision among aircraft manufacturers to provide pilots with information and training to minimize aircraft upsets as a causal factor in aircraft accidents. When you are ready to transition to the L-39, Acrojet will provide you with the training required to earn your Experimental Aircraft Authorization (EAA) for the L-39. Always wanted to fly in a military jet? This is your chance! Come to Acrojet for the Jet Experience. All you need is a pilot certificate of some flavor to add this training to your log book. Life is short! Book it today!